Tempest DC Ceiling Fan with Remote Control - White 52"
The Tempest DC Ceiling Fan features an energy efficient, DC motor reaching a maximum of 37W on the highest speed and a minimum of 5W on the lowest speed. 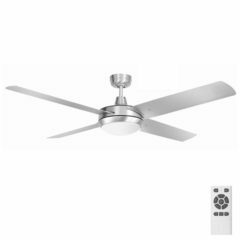 It has a minimalist style and not only is it energy efficient but the powerful DC motor produces an airflow of 13,006 m3/hr. 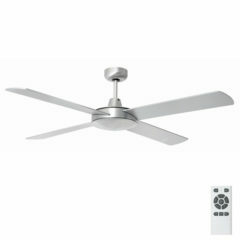 With the 5 speed options allowing you to alter the level of airflow it would an ideal fan for indoor spaces even raked ceilings up to 32 degrees. This model has an impressive LED Array, interchangeable between three colour temperatures, Warm White (3000K), Neutral White (4200K) and Daylight (6500K). Why choose one when you can have three? Please see alternative listing for model without light. 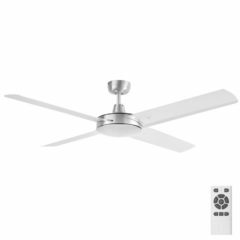 This Tempest ceiling fan is now available with a DC motor. 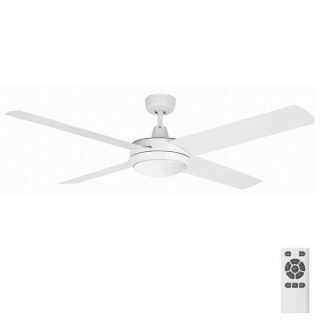 It is an energy efficient fan by Brilliant and has a 52″ blade span. It’s design incorporates a die-cast aluminium body with 4, modern, painted, plywood blades. It comes complete with a 5 speed remote control and reaches a maximum airflow of 12,503m3/hr when on the highest setting whilst only using 37W. 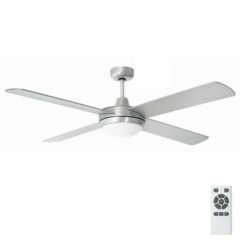 This Tempest ceiling fan is now available with a DC motor. It is an energy efficient fan by Brilliant and has a 52″ blade span. It’s design incorporates a die-cast aluminium body with 4, modern, painted, plywood blades. It comes complete with a 5 speed remote control and reaches a maximum airflow of 12,503m3/hr when on the highest setting whilst only using 37W. 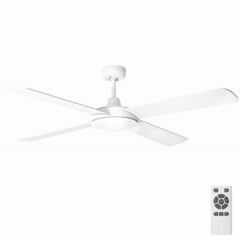 It has an incorporated 24W LED light which is switchable between Warm White, Neutral White and Daylight, giving you three temperatures to choose from. It has just been installed in time for this hot weather. Very quiet. 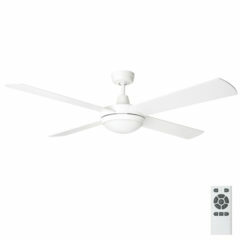 great fan, especially the 5 speeds, better than most, works wonderfully in large room.